Made decisions on development applications retroactive to ordinances and regulations in place at the time of said application’s submission. Amended the Local Redevelopment and Housing Law to authorize municipalities to implement redevelopment initiatives utilizing tax incentives and other tools without the use of eminent domain, bifurcating the process to provide for the designation of “Non-Condemnation” and “Condemnation” Redevelopment Areas. This distinction allows greater utilization of the long term tax abatement’s currently available under the law. It also codifies two recent court decisions which clarified that the use of eminent domain cannot be justified to acquire property solely upon the basis that it is underutilized, unless the property otherwise meets the criteria for blight, and addressed due process concerns by requiring municipalities to advise property owners of its intention to use eminent domain to facilitate a redevelopment plan. Consolidated New Jersey’s various financial incentive programs down to two very powerful economic development tools: (1) a new and improved GrowNJ program that is now the state’s sole business attraction and retention incentive and (2) a new and improved Economic Redevelopment Growth Grant (ERGG) program that is now the state’s sole developer incentive. Extended the deadline for county wastewater management planning agencies to submit their wastewater management plans to DEP, prevents the withdrawal of sewer service areas, allows site specific amendments, and provides a more reasonable standard to build on septics by complying with the technical NJPDES requirements. Allowed for the conversion of certain age-restricted housing developments into market rate developments, addressing the oversupply of age-restricted housing. Extended the approval period of certain permits for many development, construction and business expansion projects until July 1, 2010. These permits, issued by State, county and local governments, were again extended until December 1, 2016 under subsequent Permit Extension Act. Modifies performance and maintenance guarantee requirements under the “Municipal Land Use Law” to ensure guarantees are only required for public improvements. Additionally, the law reforms the inspection of improvements escrow process. Allows DEP to relax or waive strict compliance with its regulations, recognizing the importance of evaluating what would provide an overall net environmental benefit to natural resources. Created a licensed site remediation professional program to reduce case backlog of DEP remediation sites by deputizing environmental consultants to handle site clean-up approvals. This law gives the courts the tools necessary to handle not only the existing backlog of pending foreclosures, but also the large number of expected foreclosures now that the judicial moratorium has been lifted. Provides $500 million in bonding to finance certain vocational and county college capital projects to address the building industry’s labor shortage. The building industry in New Jersey is crippled with high costs; by facilitating careers in the skilled trades, this bond initiative works to reduce unnecessary costs and increase efficiency in construction. Provides connection fee credits for existing sewer connections and expands the 50% connection fee credit on COAH units to apply to all developers, not just non-profit developers. In New Jersey, developers are often required to pay a water and/or sewer connection fee pursuant to the Sewerage Authorities Law, the Municipal County Utilities Authorities Law, or the County and Municipal Water Supply Act. In the event of a redevelopment, the prior property owner had likely already paid these fees and the new owner may not be placing an additional burden on the system. It only follows that the developer should be entitled to (and shall now receive) credits towards the already existing connections. Similarly, all developers should be entitled to (and shall now receive) credits towards units with affordability controls on them. 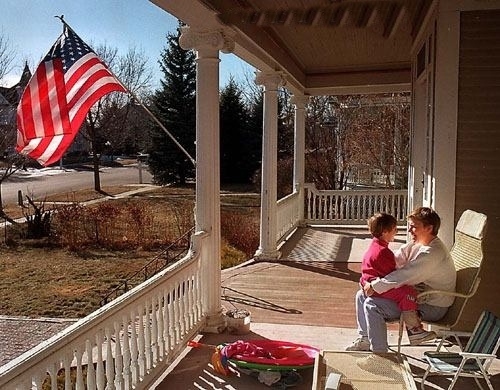 The home is central to American life. It is where dreams thrive and the future takes shape. It is the place where families make cherished memories, and children are nurtured so they can build a better tomorrow for generations to come. Housing is critical to a strong and prosperous nation. And for almost a century, national policy has acknowledged the importance of the home in American family life. The nation’s housing policies in the 20th Century contributed to the growth of the middle class and helped the United States become the most dynamic economy the world has ever seen. Today we must ensure that those housing policies that helped build such a strong America, including a strong and dynamic New Jersey, are encouraged and pursued, not threatened by legislative and regulatory proposals that could reverse a century of economic progress. Ultimately, every housing consumer would suffer. For that reason, it is important that policy makers be fully aware of the depth and breadth of housing’s many contributions to its people and its economy. "It is important that policy makers be fully aware of the depth and breadth of housing’s many contributions to the nation, its people and its economy." Few things are more important to Americans than their homes. In good times and in bad, the opportunity to own a home and property has been a cherished ideal. It is an ideal that has spurred productivity, created jobs for millions of Americans, and promoted social stability. It is an ideal that has been critical in creating wealth and providing upward mobility and financial stability for individual households. And it is an ideal that has been key to encouraging community involvement and creating an unparalleled standard of living for an entire nation. 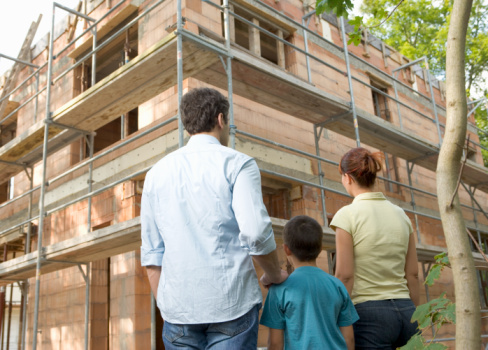 For most home owning households, the home is a primary source of wealth and financial security. And even though many homes have lost value in recent years, the nation’s home owners have more than $12 trillion in home equity and they still believe in homeownership. Homeownership also serves to diversify a household’s total investment portfolio and can shield households from the risk of large increases in housing expenses. Home owners often tap the equity in their homes to pay for education, to cover health expenses and to help fund retirement. They also use the equity to help pay for improvements that increase the value of their homes and make them safer and more resource-efficient. In addition to homeownership opportunities, an adequate stock of rental housing is essential to a well-housed population. Many people aspire to homeownership, but owning a home is not a universal goal. Some people prefer to rent, and others are unwilling or unable to take on the financial responsibility of owning a home. The bottom line is that both homeownership and rental housing should be readily available, and consumers should be able to choose the type of housing that best meets their needs, whether that means purchasing a home or renting an apartment, condo or single-family home. Policies and regulatory actions should not create arbitrary and unreasonable barriers that effectively prevent people from living in the type of housing they prefer. Just as each home is important to the family that lives in it, housing is important to the local, state and national economies and accounts for about 15 percent of the nation’s Gross Domestic Product. Included in that total are new construction of single-family and multifamily homes, remodeling and the countless products and services that are related to those activities. The income earned from construction activity is spent and produces spillover benefits through the local economy, as the new homes that are built become occupied by residents who pay taxes and buy locally produced goods and services. Those tax revenues help pay for a wide range of government services, including local school teachers, police departments and road repairs. Like new construction, remodeling of both owner-occupied homes and rental properties contributes billions of dollars to the nation’s economy each year as property owners update and improve residential properties. Perhaps more than any other consumer product, housing is “Made in America.” New homes and apartments don’t arrive in this country on container ships from Europe or Asia, and most of the products used in home construction and remodeling are manufactured here in the United States. "The actions policymakers take today will determine in large part where our children will live tomorrow." Where Will Our Children Live? The actions policymakers take today will determine in large part where our children will live tomorrow. As the debate over housing policy unfolds, it is crucial to ensure that homeownership remains attainable, that people can choose the type of housing they prefer, and that safe, decent and affordable housing remains an enduring national priority. Any other legacy is unthinkable. © 2016 New Jersey Builders Association. All Rights Reserved.